UK Culture Secretary Sajid Javid says that the government has warned Google, Microsoft and Yahoo over the issue of online piracy. In an address to the BPI’s AGM in London yesterday, Javid said that if the search engines don't stop referring people to pirate sites, the government will take a legislative approach. Developments over the past 12 months have sent the clearest message yet that the UK government is not only prepared to morally support the creative industries, but also spend public money on anti-piracy enforcement. The government-funded City of London Intellectual Property Crime Unit is definitely showing no signs of losing interest, carrying out yet another arrest yesterday morning on behalf of video rightsholders. In the afternoon during the BPI’s Annual General Meeting in London, the unit was being praised by both government officials and a music sector also keen to bring piracy under control. “We’ve given £2.5 million to support the City of London Police Intellectual Property Crime Unit, PIPCU,” Culture Secretary Sajid Javid told those in attendance. 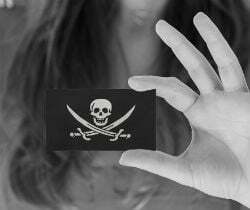 Referencing rampant online piracy, Javid said that no industry or government could stand by and let “massive, industrial scale” levels of infringement continue. “I know some people say the IP genie is out of the bottle and that no amount of wishing will force it back in. But I don’t agree with them,” he said. Going on to detail the Creative Content initiative which the government is supporting to the tune of £3.5m, Javid said the system would deliver a “robust, fair and effective enforcement regime”. But that, however, is only one part of the puzzle. Infringing sites need to be dealt with, directly and by other means, he added. “Copyright crooks don’t love music. They love money, and they’ve been attracted to the industry solely by its potential to make them rich. Take away their profits and you take away their reason for being. Of course, it’s not just up to the government and music industry to deal with this issue,” he noted. Putting search engines on notice, the MP said that they have an important role to play. “They must step up and show willing. That’s why [Business Secretary] Vince Cable and I have written to Google, Microsoft and Yahoo, asking them to work with [the music industry] to stop search results sending people to illegal sites,” Javid said. The Culture Secretary said that when it comes to tackling piracy, the government, music industry and tech companies are “three sides of the same triangle.” But despite that expectation of togetherness, only time will tell if the search engines agree to the point of taking voluntary action to support it. c There are 114 comments. Add yours?